Joanne Brion | San Francisco Bay Area | Brion Economics, Inc.
Joanne, with three decades of urban economics experience, has developed a reputation for leadership and respectfully hearing opposing viewpoints. “I care about providing complete and accurate analysis that serves the whole, so I like to know all sides of the situation,” she says. Her specialty is simplifying complex analyses and data and creating concise reports for informed decision making. Prior to establishing Brion Economics, Joanne spent 10 years as an urban economist at Economic & Planning Systems in Berkeley. Earlier experience includes analyst positions for New York planning and research agencies, including NYU’s Urban Research Center, San Francisco’s Environmental Science Associates and the San Francisco Planning Department. Joanne holds a BA in urban studies from San Francisco State University and a master’s in urban planning from New York University with a focus in economics and public policy. 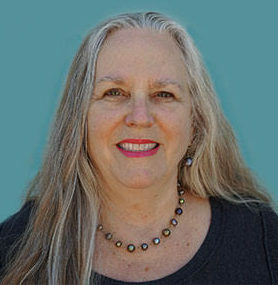 With specific expertise in the child care arena, Joanne served as advisor to the Child Care Planning Council of Sonoma County for six years and assists child care agencies and advocates throughout the state. Originally from Southern California, Joanne embraced the Bay Area when she came to San Francisco for college. Now a North Bay resident, she helps run a Buddhist retreat center in her down time. Joanne credits her Buddhist training and meditation practice for her ability to remain open-minded, be objective and hold both sides of an engagement. Always on a creative path, Joanne’s first career was in display and interior design. She still has a passion for textiles, from weaving and batik to costume design and construction.